Bienvenue en Quebec! Experience one of Canada's most diverse destinations. Montreal is the perfect place to begin your adventure! Unwind in Canada's Largest province with some breathtaking scenery and iconic views. Montreal itself is full of life boasting some of Canada's most amazing restaurants and attractions. Take time to walk through the Notre Dame Basilica or make the trip up to the Montreal Tower observation deck to get a unique view of the city. Wander through the gates of a UNESCO World Heritage Site in Quebec's Old Town -Which is the only North American fortified city north of Mexico whose walls still exist. Experience Quebec at your own pace while creating some amazing memories! Latest pick-up date for this special is 1 June 2019. Latest drop-off date is 8 June 2019. Convenience kits include dishes, cookware, pillows, linen, towels, bedding etc. There is a charge for kits unless these have been included in your package at no additional cost. You will require one kit for each person travelling. One additional drive is included for no additional charge. A total of 1000 kilometres are included in this special. You may travel into the United States (including Alaska) without the payment of an additional fee. Please note that this Hot Deal must be picked up and dropped off at the same location. Special Price is offered for a maximum of 7 nights. One way trips between different CanaDream locations are not permitted. If you wish to travel one way, please return to our Homepage and enter your pick up and drop off locations and dates into the "Get Pricing & Availability" box. Additional nights may be available at our regular rates. Offer is subject to availability. 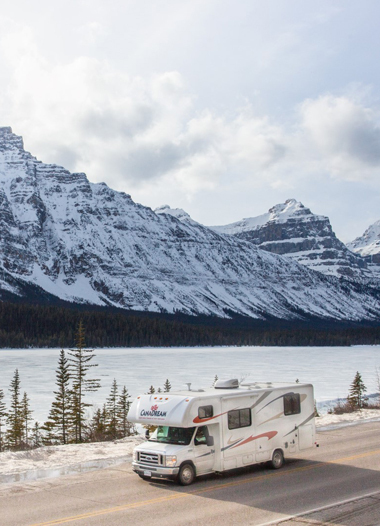 Please note: If you have decided to rent an RV from our location in Montreal, leave it at your campground and take the train or bus to enjoy Montreal's attractions. This special is not available for pick ups after 7 June 2019. Minimum charge is 7 nights.